as i will never use their online service ever again, especially as the hassle i’ve been having with them has went on since the middle of august and i still haven’t got my money back, the only option i have it to go instore. i went into town today to get my travel pass and wandered into H&M to see what they had. i spent most of my time in the kids section buying things for my niece and nephew (including hello kitty ears!) but i did find a few gems. the bright blue shirt is a perfect shade and the black knit reminds me of an alexander wang jumper, i just wish i could hunt it down in navy. 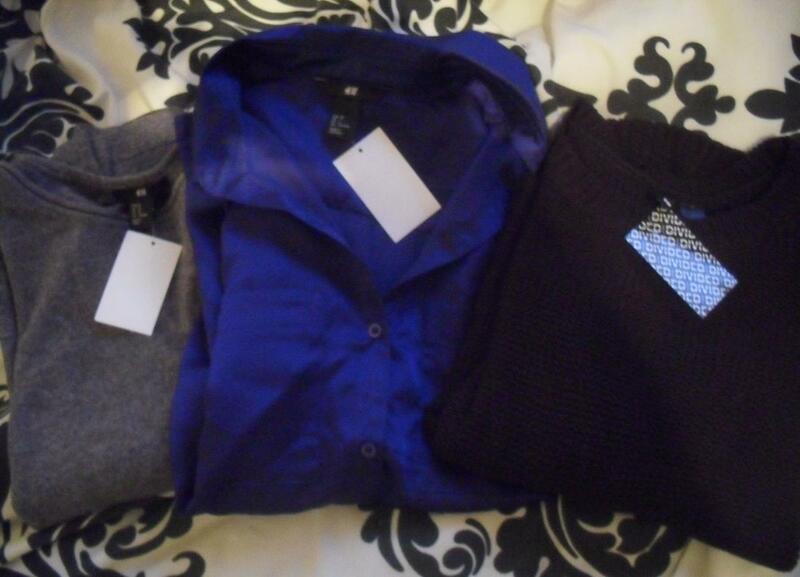 the grey jumper is so delightfully soft and looks perfect with shirts underneath. definitely happy with these purchases!